Tyntynder Garden Cottages are situated on a tranquil, tree lined country lane just a short two minute walk to the Ovens River. The cottages are very comfortable and consist of an open plan kitchen and lounge area, two large well appointed bedrooms, accommodating up to four people, all with views of the beautiful garden area with mature trees. The property is also dog friendly with a fully enclosed garden for each cottage. 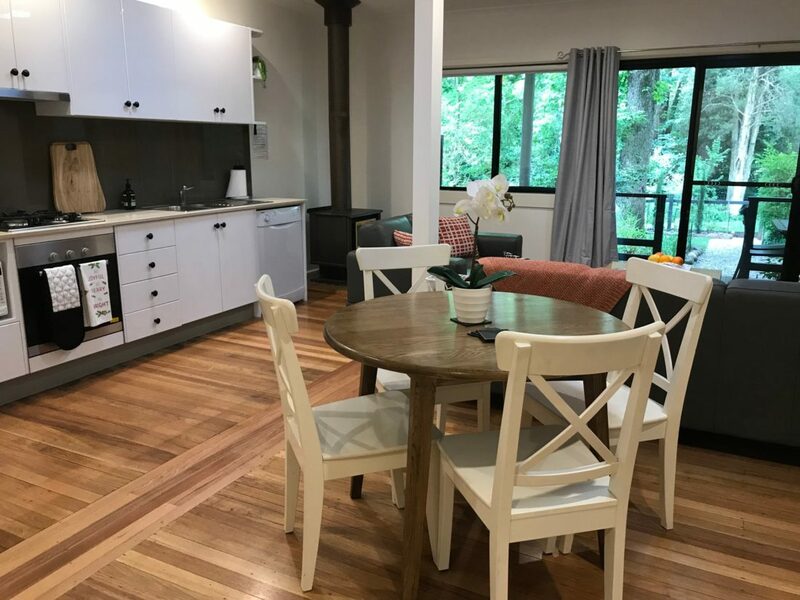 The cottages have everything that you need including all cooking appliances, barbecue, a coonara heater, air-conditioning and heating, DVD, Wi-Fi, and washing/drying facilities.  For cycling enthusiasts or just the casual weekend rider, there is secure storage for your bicycle and gear, so you can enjoy the 90 kilometres of the Murray to Mountains Rail trail. You can even visit several local wineries/produce stalls along the way. The cottages are just a 20 minute walk or one minute drive to town, so you can enjoy the many cafes, restaurants and shopping. At the cottage, you can sit out on the verandah and enjoy the sounds of the Kookaburra and Ovens River. You will feel like you are a world far away from the hussle and bustle of city life. There are two cottages available. Both have the same layout with two bedrooms, a bathroom with separate toilet, kitchen, living and dining room. There is a king bed in the main bedroom and two king singles in the second bedroom. Both feature crisp white sheets and comfortable beds with firm and soft pillows for your comfort. Each cottage has its own fully fenced private garden as well as an acre of beautiful gardens surrounding the cottages. A freshly remodeled kitchen features a new fridge, Bosch oven, four burner gas stove top, microwave, dishwasher, quality cookware, Maxwell Williams crockery, glassware, utensils, toaster and kettle. There is a spacious open lounge with stylish new furniture. A television and DVD player are provided so bring along your favourite movie/show to watch There is reverse cycle air conditioning in each cottage and a slow combustion fire to snuggle up on the couch to enjoy. There is also free WiFi in each cottage and a Bluetooth speaker to enjoy your music.